If I could think of one leisurely pursuit associated with garments that are the antithesis of good style, hiking is the pursuit I would think of. Hiking, or hill walking, itself is a healthy and rather romantic activity; the beautiful scenery, the wonderful mountain air and the enjoyment of exercise. It’s a reengagement with nature and an invigorating experience, and it’s rather sad that the equipment and attire accompanying does not possess the same beauty or style. Having said that, it would of course be absurd to wear impractical and merely decorative clothing in the wide open spaces; one needs waterproof material, sensible footwear and decent warmth. You cannot be stranded on the peaks with only a silk scarf and a pocket square between you and the sweeping rains and the howling wind. There is decent outdoor clothing that doesn’t look like it has been manufactured for traffic wardens; waterproof jackets that have style and aesthetic value and not merely Gore-Tex credentials, and boots that, blissfully, do not look like they have been constructed from an old car seat. Hill walking doesn’t need to include a brief, forgettable departure from your personal style; by concocting the right outfit, you can feel a man of style even in the wilderness of the breathtaking rural glens. A visit to the local caravanserai, post exercise, in decent hiking clobber rather than the embarrassing nylon clobber that spends most of the time gathering dust at the back of your wardrobe, somehow makes a great difference. The way to stand out from the rest of the gaudily garbed walking crew is to tune in with nature; tonally, browns, greens, light greys and a dash of pagan orange. This is no camouflage, but rather a toast to Nature’s beauty. Generally speaking, country walkers might choose the jacket on the left. Filled with natural down, it presents good value and warmth and is made by the highly esteemed North Face brand and it will be robust for a few coming years. It might also serve well as a jacket for winter sports. The down filling also means excessive layering is not required. However, despite these very practical and persuasive qualities, I would always plump for one of the other two jackets. 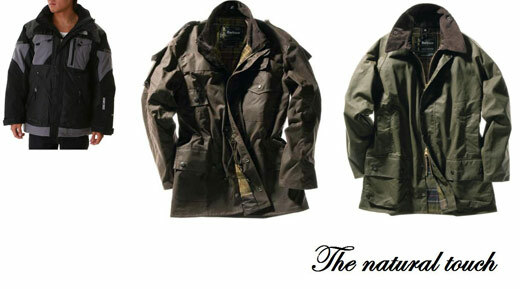 Barbour jackets to me are a happy medium between hard-wearing practicality and timeless pastoral style; the greens and browns sing in harmony with nature, the waxed outer layering gathers character like that of a mossy rock and the construction always retains its shape even after years of use. When it comes to boots, most of the footwear you will see when gadding about on the hilltops looks rather ‘technical’, (left) but is in fact merely comfortable; expensive hiking boots offer extra support, but I find that this market is largely a promotion of the value in Velcro straps, flashing lines and ‘technical’ looking materials. If you want to feel like you are wearing bedroom slippers on wooded mountains then hiking is not for you; nothing will ever feel as good as you hope, despite the appealing names. Timberland (centre and right) manufacture some of the finest practical footwear. The shoes are hard-wearing and comfortable and the support is perfectly adequate. Importantly, the designs themselves, while not exactly in the class of Berluti, are far more appealing and have a game-hunter rusticity in comparison to the rather appalling Hi-tecs pictured on the left. Hats too are generally required; the Pens are not a place to be seen with an umbrella and felicities such as ‘feeling the rain on your face’ belong in a paragraph of Austen, not in the grim realities of the great outdoors. A lot of people choose rather cheap, shapeless hoods attached to their jacket. Whilst this is certainly practical, it is also rather dreadful. 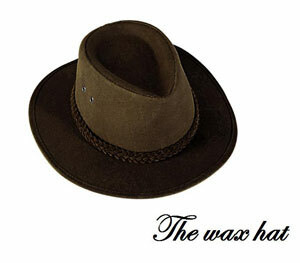 Barbour manufacture wonderful wax brimmed hats, utterly waterproof, that assist in cutting a fine mountain figure whilst keeping your head very warm and completely dry. Can someone please tell me the model name of the Barbour jacket in the middle? Absolutely. That is the Barbour Cowen Commando jacket in brown. Thank you. Off to the Barbour website.